GREENWICH Council will have no access to a hospitality box it rents in the O2 this summer - despite paying almost £10,000 a month for it. The Royal Borough leases the suite from O2-operator AEG and tries to recoup the costs through ticket sales, but with no public events for three months because of the Olympics, the council is left footing the bill for a facility it can't use. 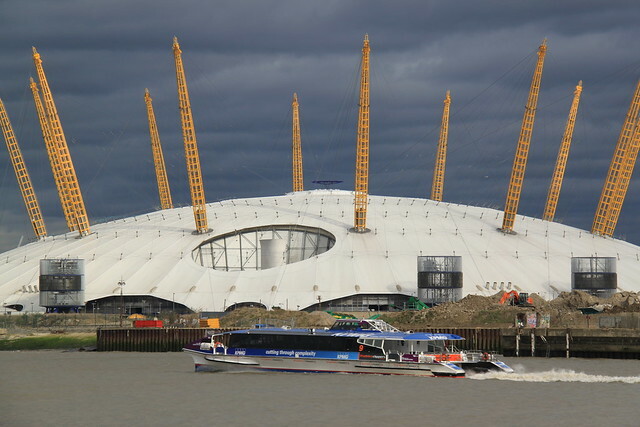 The council won't even have access to its box during London 2012 itself, which is classed as a private hire of the venue and will see it temporarily renamed as the North Greenwich Arena. Their five year lease agreement with AEG requires access to 100 public events a year. "The Royal Borough may be required to meet suite lease payment for the period 10 June to 25 September 2012 without being able to generate income from ticket sales. This would represent a pressure of approximately £29k to the Council in 2012/13"
"It's a bit rich that we're expected to pay for the lease and will not have any access." The council first started renting the box in 2007, and after a one year pilot scheme it entered into a five year lease. 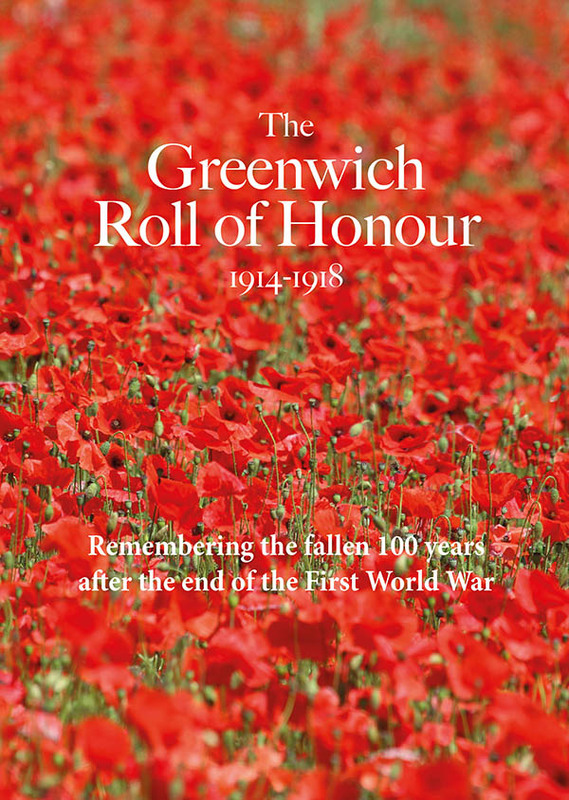 Tickets to events are sold to Greenwich Card holders while some are given away to local charities, volunteers and schools. Others are raffled to raise funds for charities. A review of the performance of the box over the past nine months showed that there was a £5,000 shortfall. Council Assistant Chief Executive, Katrina Delaney, told councillors that the council is reducing the costs associated with the suite by no longer providing guests with a welcome drink and by no longer requiring a council staff member to be present to "host" guests in the box. According to the review by council officers, local charities who benefitted from free tickets to events include Greenwich Toy Library, Demelza, the Metro Centre, HER Centre and Greenwich MIND. Tickets were also provided to volunteers and members of sports clubs, and tickets to see Placido Domingo were given to "4 people whose wedding [sic] was disrupted by [a] fire alarm." There will be no rise in council tax after a freeze was agreed by councillors for the year 2011 - 2012 at a full meeting of the Council last Wednesday at Woolwich Town Hall. Band D homes will continue to have an annual council tax of £1,290.73. At the same meeting, councillors agreed an average rent increase of £5.16 per week for council tenants. It was also revealed that the council is to consult its tenants on implementing a new service charge to help close a gap in the housing budget. Council officers report that a £2.00 weekly service charge would meet the shortfall but a range of figures will be included in the consultation - the results of which are expected to be introduced from October 2011. Secretary of State for Local Government, Eric Pickles, has announced details of cuts to council budgets. Greenwich Council is in line for a cut of 7.72% in its "revenue spending power" in 2011-2012 and by 4.4% the year after. Revenue spending power is determined by adding the formula grants and specific grants from central government to income from Council Tax. From 2011-2012, councils will also be allocated money from NHS budgets to spend on local social care. Formula grants come from a central allocation which is the same for all local authorities delivering the same services and specific grants are ring-fenced for certain priorities and projects. Eric Pickles told the House of Commons yesterday that he had "sought achieve a fair and sustainable settlement for local government" but that "every part of the public sector needs to do its bit to help to reduce the highest deficit in the UK's peacetime history and the rapidly rising national debt that this Government have inherited." He added that he had "set aside £650 million so every council can freeze council tax next year without hitting local services." Caroline Flint, Labour's Shadow Local Government Secretary, said "these cuts will hit front-line services and cause massive job losses in the public and private sectors. For all Ministers' traipsing around the TV studios pretending that savings of this magnitude can be made by efficiency drives and sharing back-room functions alone, the reality is very different-and everybody knows it." Whilst the headline figures have been announced by the Government, Greenwich.co.uk understands that council officers are still examining the details of specific grant allocations to full understand their impact. The first details of cuts being put forward by Greenwich Council emerged last week in a report considered by the Budget and Scrutiny committee. The package of measures - covered in greater detail by Darryl at 853 - includes job losses, such as lift attendants in the foot tunnels, cuts to grants to local voluntary groups and raising more revenue through parking costs. Councillors met at Woolwich Town Hall last night for the first full council meeting since the summer recess. The Victorian school building in Royal Hill which has latterly been used as an annexe for Charlton Special School could be returned to use as a primary school, it was revealed. In a written response to a question from Cllr Spencer Drury (Conservative, Eltham North), the Cabinet Member for Children and Young People, Cllr Jackie Smith (Labour, Thamesmead Moorings), stated that the council "is considering plans for the reopening of the school to meet the growing demand for primary school places in west Greenwich". Councillor Alex Wilson (Conservative, Blackheath Westcombe) asked for an update on the re-building of The John Roan School. A written reply from Councillor Jackie Smith revealed that a design team was in place, the process to appoint a building contractor was "well advanced" and work was expected to start in approximately 12 months. Former Liberal Democrat Paul Webbewood used the opportunity of Public Questions to ask council leader, Councillor Chris Roberts, if he had ever slept at Woolwich Town Hall. "No", replied Cllr Roberts. Cllr Alex Wilson (Conservative, Blackheath Westcombe) said that the decision not to contribute to this year's Blackheath Fireworks felt like being "a dinner guest who has walked away at the last minute without helping to pay his share of the bill", and asked for the cut to be justified by the Council. Deputy Leader of the Council, Cllr Peter Brooks (Labour, Thamesmead Moorings) said there were "65 million reasons" to justify the decision, alluding to the £65 million the council expects to have to cut. Cllr Brooks said that the share of the costs for Greenwich Council was £37,000 which equated to "a job a bit". He said he was "given about two days in the middle of the recess to come up with this decision" and it wasn't a decision taken "lightheartedly". 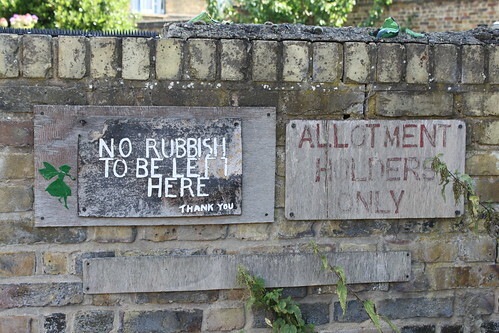 The council resolved to try and sell two houses it owns in Commerell Street. The council has estimated that selling the land will raise £550,000 which it intends to spend on its new Housing Delivery Vehicle, financing decant costs in Kidbrooke and Woolwich and other urgent capital works on council-owned homes. The council will need to gain permission from the Secretary of State for Local Government before proceeding with the disposal. A Conservative motion welcoming the attempt to set up a new free school teaching the International Baccalaureate was debated by councillors. Cllr Dermot Poston (Conservative, Eltham North) praised the "vision" of parents and teachers behind the school who he said had a "passion" for educating children "in depth". Cllr Adam Thomas (Conservative, Eltham South) said that the parents and teachers proposing the free school wanted to "make a difference to the education of children in this borough". Cabinet member in charge of schools, Cllr Jackie Smith said it was "wholly unfair to debate in this chamber one particular proposal that is still being assessed by the Department of Education". She said that the council was "corncerned about free schools" which she said had "too many unknowns". She pointed that the borough already a diverse range of schools which within the local authority "family". She said she didn't wish to debate the merits of the IB but didn't think funding should be taken away from other children in the borough to "set up a bit of elitism". Cllr David Grant (Labour, Greenwich West) accused Greenwich Conservatives of "jumping on Mr Gove's decidedly rickety bandwagon" and said their motion was "trivial and foolish". Cllr Alex Grant (Labour, Blackheath Westcombe) - himself a former student of the International Baccalaurate - said it was a good course but not a "magic bullet". He also commented that there was "nothing to prevent any state school in Greenwich from starting to do the International Baccalaurate". He said that as a "through school" catering for all ages, he thought it would be "overwhelming" for young children to be sharing a playground and school building with 17 and 18 year olds. Cllr Nigel Fletcher (Conservative, Eltham North) said that there was a "mindset" within the Labour group that they could allow experimentation and parent involvement with schools "but only up to a point" because "at the end of the day, the council knows best".